Home / Franck Biancheri's friends / Yes, Nathalie Loiseau was indeed one of the pioneers in the history of our (trans)European democracy! 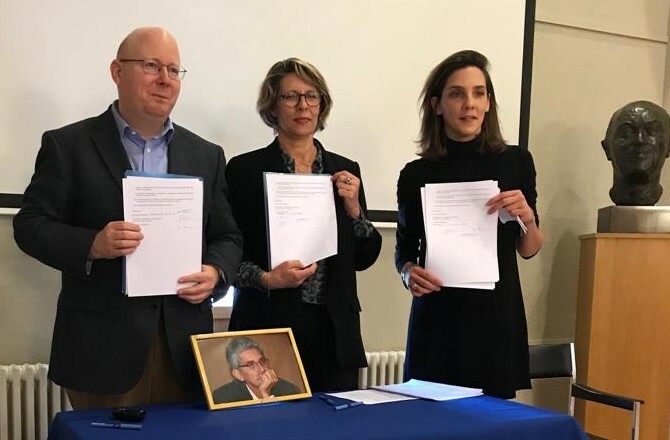 The French mass media has recently found out that Nathalie Loiseau, head of the “Renaissance” political list of LaREM Party (La République en Marche) running for the European elections of May 2019, had already been a candidate before. Indeed, in 1989, at the age of 24, she was on Franck Biancheri’s list, namely on IDE (Initiative for European Democracy), the first trans-European political party. IDE was long time before Newropeans 2009, before DiEM25, before Volt, to mention only a few of the best known similar lists. 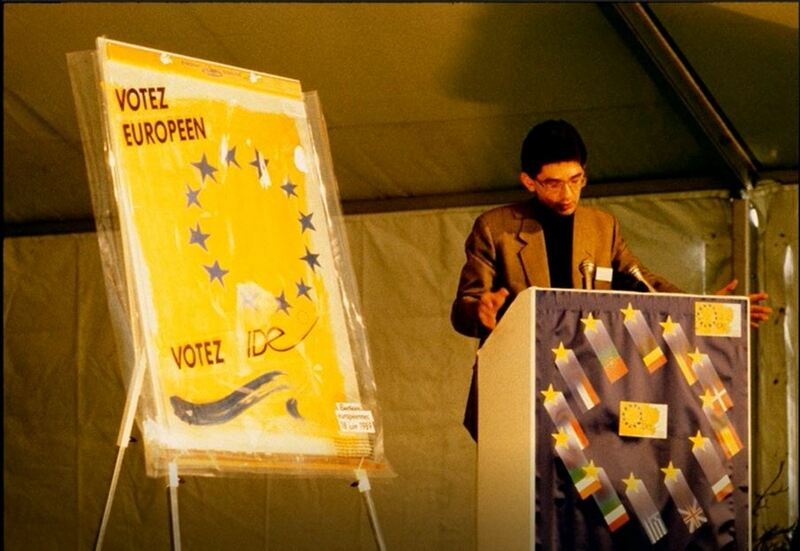 This focus on the electoral and political history of Nathalie Loiseau actually challenges us, as it highlights Franck Biancheri and his fundamental and founding role in the history of European democracy, since he created AEGEE-Europe (EGEE at the time), his major role in the existence of the ERASMUS programme, the creation of the first trans-European political parties (IDE and Newropeans2009) and the very first European citizens think tanks (Prometheus-Europe, Europe2020, Tiesweb, Leap2020 ). 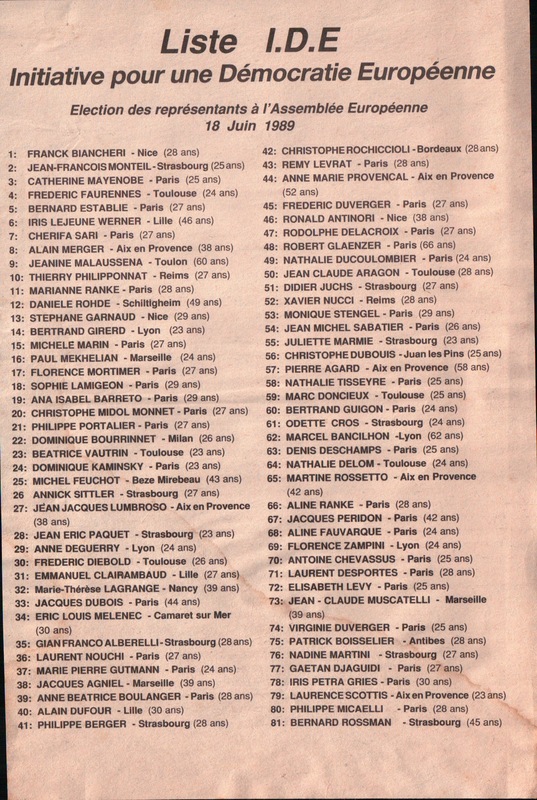 If we go back to the articles recently published about Nathalie Loiseau’s electoral past (see below), the AAFB Association (whose main aim is to defend, promote and carry on Franck Biancheri’s memory since he died prematurely in 2012 at the age of 51) is providing the following elements to contextualise the aforementioned items of information. The experience of those young visionaries in 1989 was not a “failure” but a pioneering act! 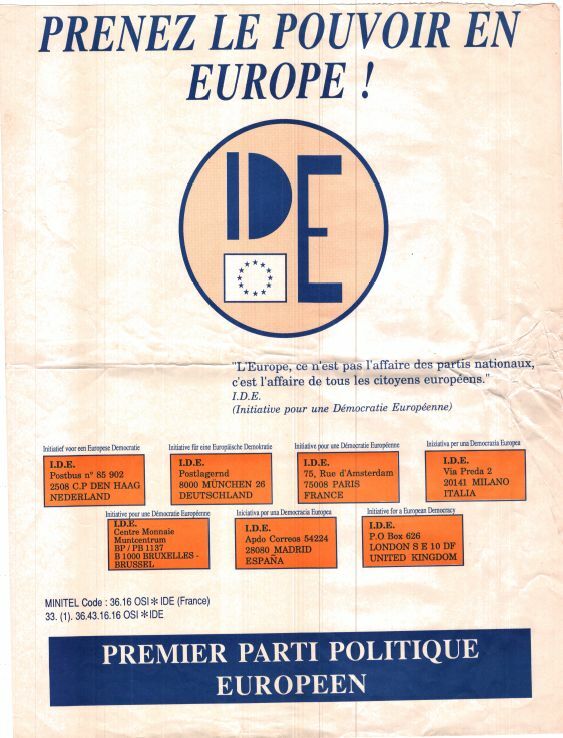 IDE, the first trans-European political party in the history of European democracy, was created in 1987 by Franck Biancheri (at that time he was 26 years old), when he left the presidency of AEGEE-Europe, a European student forum (with no national levels) which he had founded in 1985. 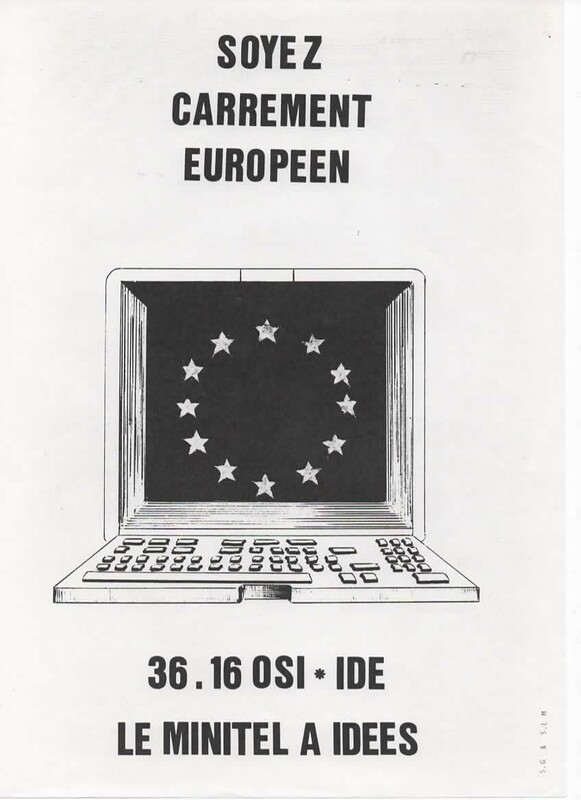 IDE campaigned throughout the European Community for the elections of June 1989 (beach campaigns in summer 1988 in particular) under the same name, with the same programme, and based on a single decision-making assembly (Agora) and it brought together all the European members of the party with no national level and lists presented in Spain, France and the Netherlands (it missed its presence in West Germany by a few signatures only). The fax machine at the time was booming and was much cheaper than the phone, which allowed to send what IDE called the “info-fax” documents. 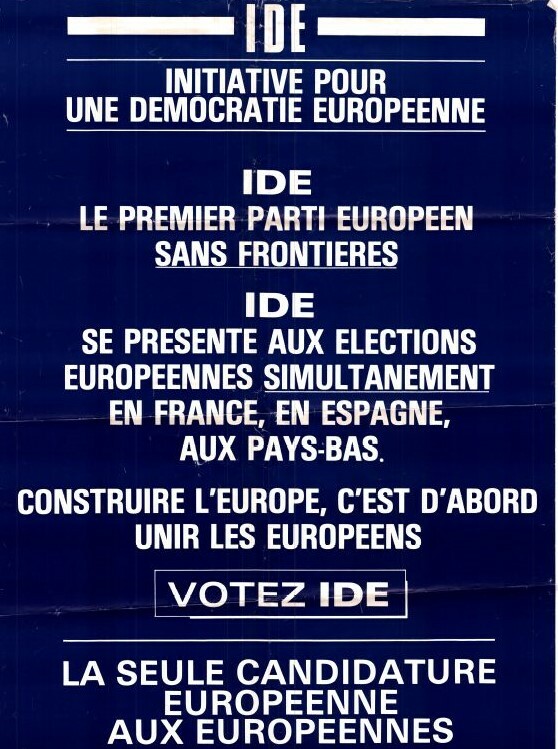 IDE was not conceived as a political machine to win elections or a few seats in the parliament but as an experiment, an innovation in the European political and democratisation process, a seed for a “united and open political world” worrying about the “revival of nationalism throughout the Community” (IDE press release against “national-partism”…), a finger pointed towards a horizon of democratic Europe … whereas everyone looked at the finger… and still does that today, apparently. 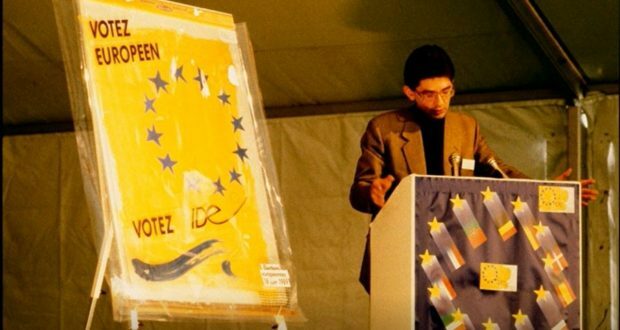 Thirty years later, except for the Newropeans party in 2009 (a second political movement created by Franck Biancheri), no other political party can claim to have taken up the challenge and path of trans-Europeanism. We feel proud and happy to see politicians, like Nathalie Loiseau, coming from this “European democracy school”, engage in this European campaign to try, faithful to their youth convictions, to consolidate this Europe on democratic bases and provide the already emerging generations a solid foundation to rely on and address the global issues characterising their project. 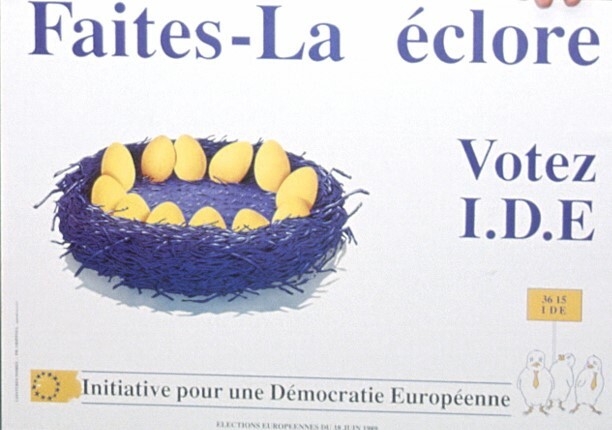 So hopefully, with Nathalie Loiseau and many others, this Europeanisation of European citizens will happen. 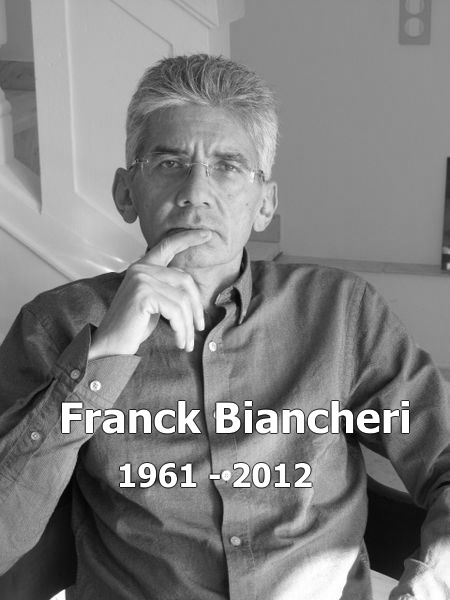 Let’s try to hear through the sputtering of national radio speeches of transnational political parties like DiEM25 or Volt, taking methods and ideas developed by Franck Biancheri thirty years before: let’s hear “Europeans speak to Europeans”.